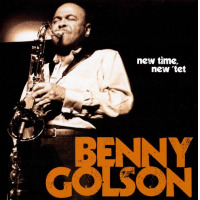 Tenor saxophonist Benny Golson showed no negative effects of his 87 years during the opening set of two nights at Duc des Lombards in Paris. His breathy style purred like the engine of a vintage Rolls Royce, his vibrato-edged style poured out as enticing as a gently cellared French Bordeaux. 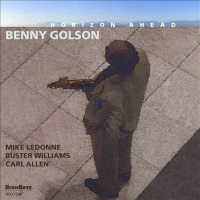 The evening began with a lesser-known Golson original that is the title of his newest album, Horizon Ahead (High Note, 2016). 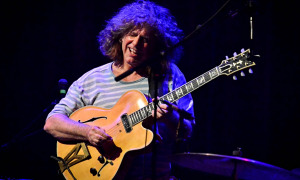 His elegantly spare tenor delivery was complemented by a United-Nations-style collaboration with Italian pianist Antonio Farao, French acoustic bassist Gilles Naturel and American expat Doug Sides on drums. To introduce "Mr. PC," a minor bebop blues written in 1959 by John Coltrane for bassist Paul Chambers, Golson briefly reminisced about growing up in Philadelphia where he and Trane were young colleagues. The leader's solidly defined solo was enhanced by Farao's fluid keyboard shifts and Naturel's adroitly conceived bowed-bass segment that was capped by Sides' well-defined drum solo. None of the set's five selections was played in extended length, but each was prefaced by a lengthy nostalgic story, the on-stage mode for which Golson has become known. 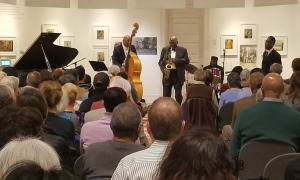 His ruminations about each of those compositions during the 90-minute set were intriguing for a jazz critic-historian such as myself, maybe not so much for listeners who had paid 40 euros ($45) a seat in the two-level 75-capacity central-city jazz club. 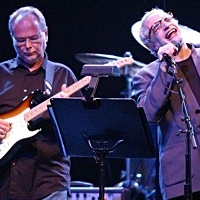 The evening included only one of his notable compositions, and one of the most memorable was called next, "I Remember Clifford." 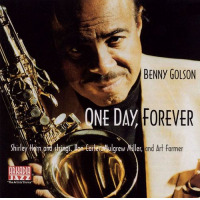 Golson reminisced for nearly 15 minutes before playing a note of his 1957 musical memorial to trumpeter Clifford Brown. The chart was treated with reverence, starting with his unaccompanied opening solo, the melody line subdued and pure of tone. 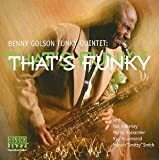 The trio respected the chart with minimal embellishment, perfectly setting up Golson's closing segment, a prayer-like soliloquy in the horn's upper register. The leader remained on stage after announcing a trio selection, "What Is This Thing Called Love?" Pianist Farao's approach began ardently romantic until he surged into being a raging tiger, delivering rivulets and torrents of notes that caused Golson to softly exclaim "Wow!" For the finale, Golson chose a lesser-known Clifford Brown composition, "Tiny Capers." This swinging bebop chart was delivered with the highest energy of the set. Golson's seasoned horn style and air of quiet confidence were honed in a career that began 70 years ago upon his graduation from Howard University. After he joined Bull Moose Jackson's rhythm and blues band in Harlem, he worked with Lionel Hampton, Johnny Hodges, John Coltrane, Dizzy Gillespie and Art Blakey and the Jazz Messengers. 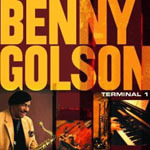 Golson soon earned renown as a composer of multiple charts that have become jazz standards, many of which were popularized during the years he partnered with flugelhornist Art Farmer in their Jazztet of 1959-62. 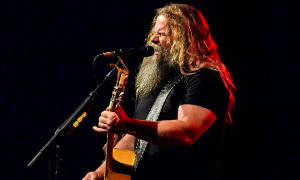 That made it somewhat disappointing to hear only one of those from his plump originals book that includes "Killer Joe," "Whisper Not," "Blues March," "Stablemates," "Along Came Betty, "Five Spot After Dark" and "Are You Real?" 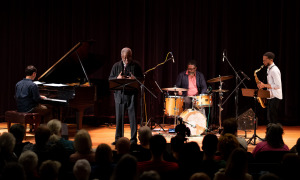 Golson, one of the few jazz elders still actively touring, has had a summer performing four to five concerts a month, traveling from Spain to Paris, from Chicago to Colombia, from Texas to New York City. An icon of his era, he is a legend in this one.